The institution was originally located in Natchez, Mississippi, but was moved to Jackson in 1882. In 1899 the curriculum was expanded and the school’s name was changed to Jackson College. The American Baptist Home Mission Society withdrew its support for the College in the 1930s, prompting the administration to seek state support to continue its operation. The State of Mississippi assumed support of the college in 1940, and mandated that the school’s primary purpose should be the training of teachers. In 1942 the Board of Trustees instituted a four year teacher education program leading to a Bachelor of Science in Education degree. Between 1953 and 1956 the curriculum was again expanded to include a graduate program and bachelor’s programs in the arts and sciences. In 1956 the institution became known as Jackson State College. Jackson State achieved university status in 1974. Jackson State earned national notoriety on May 14, 1970, when two students, Philip Gibbs, a JSU junior, and James Green, a senior at Jim Hill High School, were killed by Jackson police when they opened fire on the campus during a student protest. These killings came ten days after four white Kent State Students were killed by National Guardsmen on that campus in Ohio. Today, Jackson State University (JSU) is the fourth largest state supported institution in Mississippi. As of Fall term 2009, JSU served 8,783 students, 76% of whom were full time. About 93% of the student body was African American, and the ratio of women to men on campus was nearly 2 to 1. 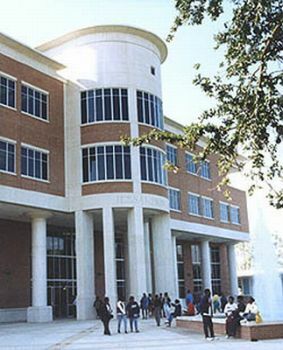 Jackson State University offers 43 bachelor’s degrees, 36 master’s degrees, and three specialist in education degrees. It also has 11 doctoral programs. As of fall 2009 almost 40% of the students lived in on-campus housing, 78% of the students on campus were undergraduates, and 85% of all students were Mississippi residents. Only 2% JSU students were from outside the United States. Jackson State’s most famous alumnus is former Chicago Bears running back and Professional Football Hall of Fame member Walter Payton. Toni Hodge-Wright, The Handbook of Historically Black Colleges and Universities (Seattle: Jireh and Associates, 1992); Faustine C. Jones-Wilson, Charles A. Asbury, Margo Okazawa-Rey, D. Kamili Anderson, Sylvia M. Jacobs & Michael Fultz, Encyclopedia of African-American Education (Westport, CT: Greenwood Press, 1996); Jackson State University Webpage, http://www.jsums.edu/.